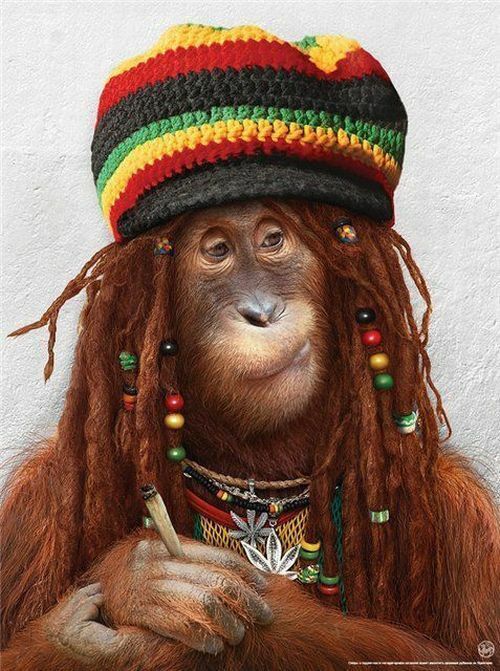 a Undercover Photo of Drowsy Monkey during the Summer of Love in 1967. The morphed Manpanzee Hollydale head was photoshopped onto the body of a space chimpanzee. (2) The mystery of evolution is how did a brainless one cell organism acquire the ability to create different species and acquire higher intelligence. Don’t let the evolutionists make a monkey out of you. (3) This Missing Link spoof is satire and/or parody. It is entirely fictitious like the religious theory of evolution. The fossil record of the recent “MISSING LINK” FOUND: New Fossil Links Humans, Lemurs? news may only prove one fact: Lemurs have had opposable thumbs for 47 million years. Can you imagine any primate without opposable thumbs trying to grip tree branches?